3.6 out of 5 based on 33 bloggers and 3 commenters. 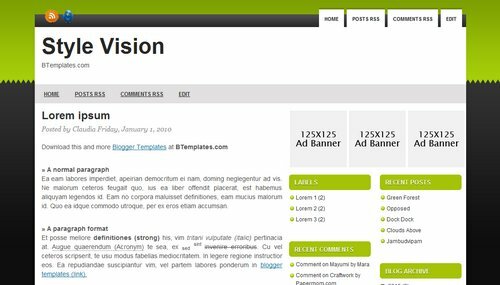 Style Vision is a free blogger template adapted from WordPress with 3 columns, right sidebar and neutral colors. simple, elegant, beautiful, this template is nice to increase my blog, thanks so much.